The meaning of life starts with first understanding yourself. Once you done that, start develop yourself and engage in life-long learning and try new things. 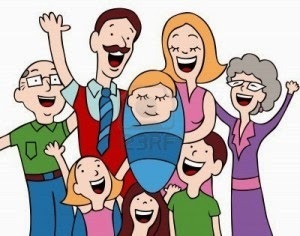 Apart from yourself, your family, friends and people around you are often the main reason why you are happy or sad too. 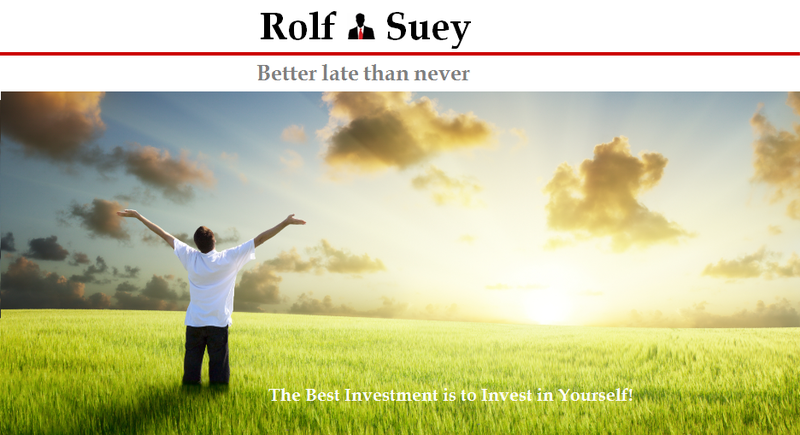 Now let’s take a look on how can “Rolf Suey” lead an enriching life. Many people live their lives not knowing who they really are. They often live in the shadow of others. During my school days, I know many friends who get into Computer engineering because their parents want them to be in computing since it has brighter prospects. They hated programming and eventually failed the course. 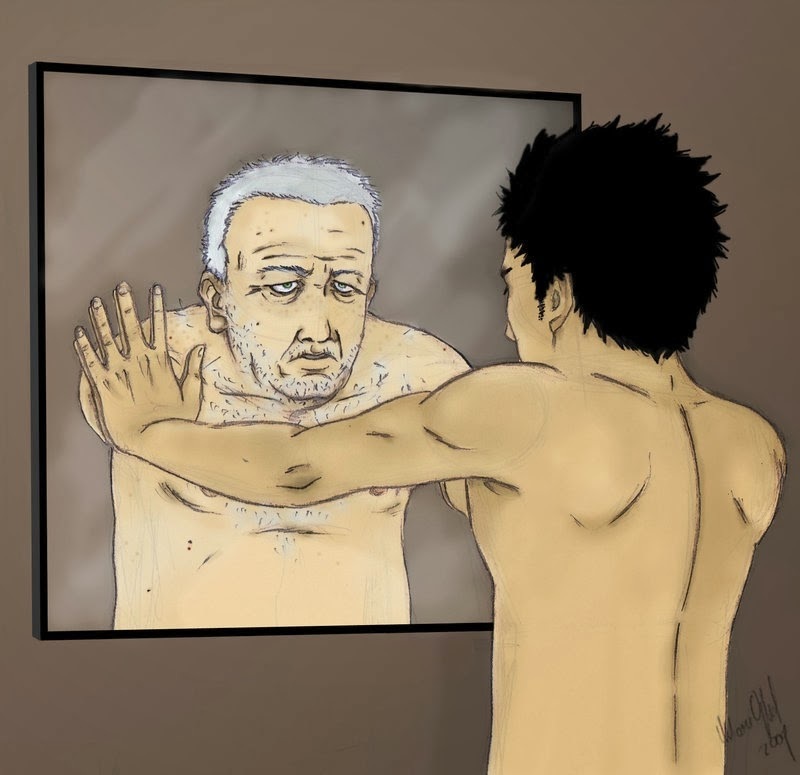 To be yourself, you first have to learn how to love yourself. Only a person who can take care of themselves can take care of their family. Take care of your health. Quit smoking! I quit after 18 years, so can you. Start exercising and stay fit. I remember a friend 10 years elder told me when I was in my 20s, I will know what it is like to have a big belly when I hit 30, because I will never find time to exercise due to work and family commitments. I am mid 30s now, carrying all the commitments in work and family, still not knowing what it is like to carry a big belly around my waist! Many people say passion is the most important attribute to be successful. It is absolutely correct. To excel in what you do, you have to preserve in what you do. In order to preserve and overcome challenges, you have to have a lot of passion. Have you ever wondered "Passion of Christ = Jesus = suffering on behalf of people"
Never misuse Passion for Excuse. I remember I had a tuition student saying he wanted to be a postman so that he do not need to study hard then! He told me that working as a postman do not have stress and just need to deliver letters. Is it True? Passion has to make economical sense. In today's society, having passion is one thing, having a roof with bread and butter is another. It is nothing wrong to be a postman, it is an honorable job. But to be passionate about delivering letters in the "World Most Expensive City" may require more than just delivering letters to survive! Probably some kind of innovations to be the next Fedex or DHL will do the trick! Passion has to be sustainable. Very often you will hear people say they have passion in one thing and few months or days later, he will tell you he found another new passion. It is wonderful when you aspire to be a sportsman, artist, chef, musician etc. but please make sure it is not an excuse to be escape the stress from schools, or an excuse to be lazy! You have to love what you do for many years or forever. It is not passion for 3 days, 3 months or even 3 years is considered too short. 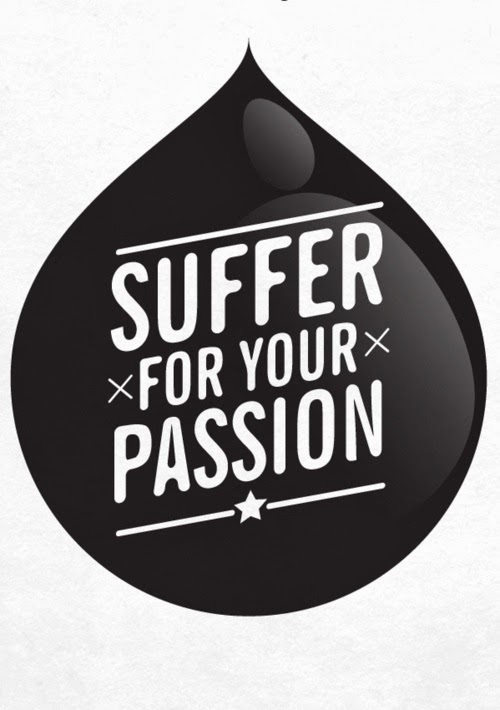 Passion = suffer? If you are 1.65m tall, to excel in playing basketball as a professional, you must be prepared to work doubly or ten times as hard as someone who stands at 1.95m or taller. Michael Jordan is deem to be short at 1.8m and never make it to the varsity team initially. To prove his worth, Jordan work rigorously got into varsity team and goes on to become the greatest NBA player ever. He also grew 10cm that summer in varsity too, probably as a reward god gave him for working hard! If you are unable to find things you are passionate yet, "do not settle, keep searching" - Steve Jobs. Very often if you have a positive mindset, passion can be developed. For example, when I started giving tuition, it is for the money and never for the passion. While juggling studies later work, relationship and tuition, it was tough. I preserve, and eventually develop a love in teaching, where I realize tuition is one of the most enriching and rewarding part time job. I enjoy every moment when I see my students pass their O levels with flying colors. In work, never once I imagine myself to be in sales, so I started as an engineer. It takes a strange incident to get me into sales. It turn out to be the best thing that happen to me. I love meeting new people and closing deals today. It is more a kind of passion developed over the course of work, rather than I know it from start. It is important to set goals, to enjoy the satisfaction of reaching the finishing line. Write down 10 goals in the next 12 months and circle the most important 3. For each goal, write down at least 20 answers to achieve that. Be specific. Take each answer and work on it repeatedly. Keep track on your activities too. To make your life more exciting, try new things and break the routine. Go join some new courses, learn new language, and take up new hobbies! “Get out of your Comfort Zone!” If you continue to try new things, you will be positive and forward looking in life. Very soon, you will discover all the new experiences that make you really happy rather than lazing at home to be a couch potato. Meeting new people or catching up with long lost friends brings new opportunity in life. You may even find your new best friend at the age of 50 or even 60. Also it may present new investment or career opportunities. Talking to people also increase your awareness and widens your knowledge on current affairs. Creative ideas are often generated from a conversation that can intrigue your thinking process. Ultimately life is not only about career, it is about people you love and spending quality time with them. It is your mind that makes you happy and not necessary the things that makes you happy. It is easier said than done, but if you truly understand yourself, know your goals in life, plan for it, work hard for it; you will definitely lead an enriching life. I will end with “Better Late than Never” to get started on all the above points today! Good post! This post sums up everything about life. I believe strongly in finding oir passion too. When we do something we love, we're more likely to succeed and also it makes life more interesting. Thanks. I am still learning each day. I saw your post on Pursuit of Happiness, http://sgyounginvestment.blogspot.sg It is so well written. It is commendable for Singaporean to realize so many things in life so early. "My answers will be: save each month, re-invest earnings, never lose my capital, read business times daily, read annual reports of at least 3 new companies per week, at least 2 blog post on investment a week, read at least 1 investment book a month, meet with people working in the company of the stocks you are interested, visit the property or shopping malls that you are interested to invest etc"
Impressive goals and valuable general advice! That is incredibly good advice and nothing but the truth, I did what you mention exactly excluding the time frame, since sometimes they tend to be disrupted by my work and family. I my best though. By the way, this article is written for my kid(s) after an incident that happened relating to him/her!